This season has already seen wins against Man U and Arsenal along with scoring the opening goal away at both Chelsea and Man City which shows the level of ability in the side and sets a standard that needs to be kept up with a theoretically easier run of games to come in the next few weeks. 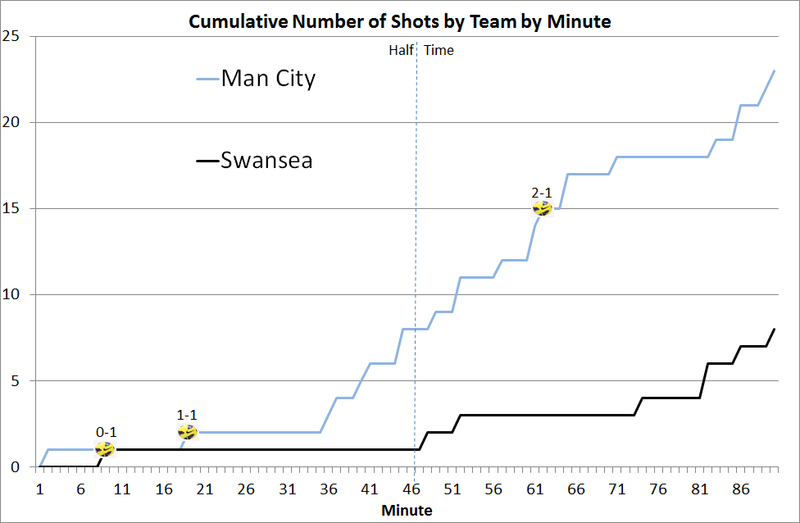 Man City may have had the majority of the shots but the start and end of the match saw plenty of attacking from Swansea with Gomis missing a great chance at the end to take home a point. You may well by now have seen the stat that Bony has scored more premier league goals (17) than any other player in 2014. He'll be missed during the Africa Cup of Nations, but I'm convinced it was something that put clubs off buying him in the summer so may be a blessing overall. Tom Carrol had a good game and it's gutting to see that the only misplaced pass all game (he completed 38 of 39 passes) ended up with Man City scoring their winner. Fabianski may have been beaten twice but his save from Clichy was top class. I already thought we had a pretty quick wingers last season, but Montero and Barrow seem to have taken that to another level. While results are obviously important, I think regardless of how scores finish it's going to be a fun and entertaining season and I don't think you can ask for much more than that. With this win Swansea have now registered parity in Premier League games against Arsenal (3 Wins, 1 Draw, 3 Defeats), while most of the mainstream media will be focusing on Arsenal's demise, this was an excellent Swansea performance with Arsenal creating relatively little. It was a sign of respect that Arsenal's approach seemed to have been to keep it tight and hope to nick a winner on the counter (this plan worked well in part thanks in part due to a terrible piece of control from Bony to start the counter attack). 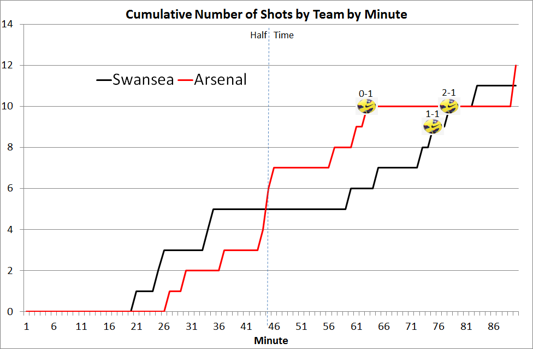 Looking at the shot charts by time, Arsenal offered little until a flurry towards the end of the half (and again little after their goal until a few nervy moments at the end of the game). Montero's monstering of Chambers was something that caught the eye right from the beginning, the seeming lack of willingness to change things from Arsenal was almost an act of cruelty. Montero has now made 29 successful dribbles in the Premier League compared with 9 for Dyer and 11 for Routledge (if this was done on a per minute basis, the difference would be even bigger still given Jeff''s lower playing time). It doesn't always work but gives the option of a more direct approach, Montero received 27 passes but passed only 16 times where the more usual approach would see Routledge/Dyer interact more with Sigurdsson. 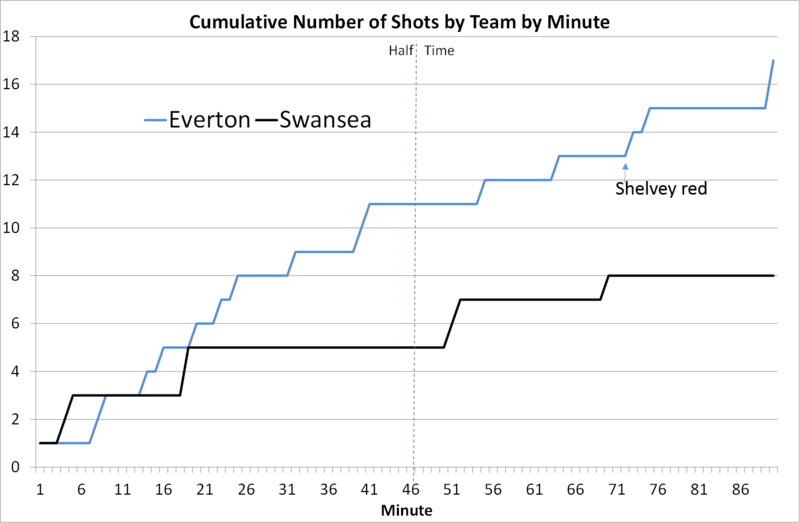 As good as Montero's play was, I was particularly impressed by the support play of Neil Taylor who linked up really well with him (I'll gloss over his reckless yellow given the final score). The other player who stood out for me was Ki, it's great to have Leon back but Ki's been doing a pretty decent job in his absence. I'm in the middle of reading 'The Nowhere Men' by Michael Calvin which talks about scouting and someone mentions dismissively Britton often getting 100% pass rate in that it's meaningless without context (which is true in part but for me misses the point). 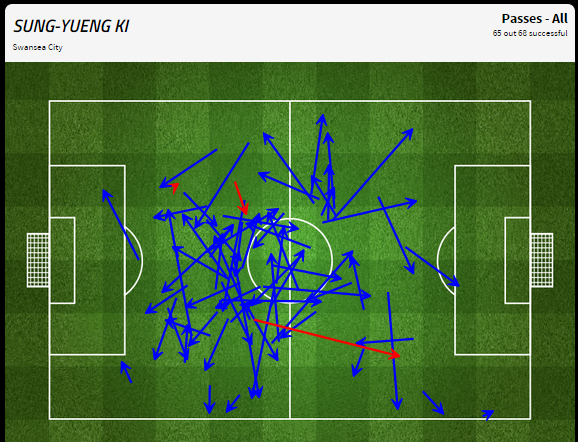 As with Ki's pass map below, the point is not the difficulty of any pass, it's the ability to be in the right place to receive the ball in the first place and also the willingness to accept the ball in pressured positions. You may not always want to repeatedly recycle the ball but having the ability to so so when it suits you is hugely advantageous. 7 points in 3 games has turned what was starting to look like a mini-wobble into a distant memory and gives everyone two weeks to enjoy the result and to face the Man City game with an air of anticipation rather than nervousness.